I ain’t Scared. Bring it on! I’ve lived in my small New England town for over 20 years. It’s a town that is nestled on the eastern foothills of the Berkshires. Ashfield, Massachusetts is pretty large when measured in square miles, but is quite small when you are counting human beings. In those twenty years, I have driven and ridden most of the roads that Ashfield claims ownership to. One reason I moved to this hamlet from the brick and concrete of Olde Boston Towne was for the awesome motorcycling roads. It’s true, my town, and the immediate towns that border the place I call home, can brag to have some of the best motorcycling roads in the Commonwealth. Every weekend I can swing by the local gas station, Lakehouse Restaurant or Elmer’s Country Store and see license plates from surrounding states mounted on all types of bikes. It’s that kind of place. While Ashfield is well-know to savvy riders for its awesome twisty tarmac and light traffic, only those riders who dare to explore the dirty roads of Ashfield and vicinity truly discover the soul of this small Massachusetts hilltown. I’m a bit embarrassed to say that in my two decades living in Ashfield, I have only explored a tiny bit of what is available for a dual-sport rider to see and experience. It’s not that I haven’t had a machine to do the job. My 2000 Suzuki DRz400 is more than capable of handling the dirt (or mud) roads that connect remote parts of town to the civilization of Main Street, Rt 116 and 112 that are the lifelines to the Pioneer Valley. These dirt roads aren’t hard to find. However, it does take a bit more time and a certain commitment to make the turn onto one of the many unpaved roads. I’m always rewarded with epic views, tree-lined paths, and bucolic farmscapes. Look for roads marked by green hand-carved signs with names like “Bug Hill Road”, “Lilliput Road”, and “Brier Hill Road” for an adventure and journey into New England’s past. A short excursion off the pavement rewards me with nice vistas. The roads I’ve talked about so far are doable by most street bikes, so they are not exactly challenging for the really adventurous dual-sporter. For those wanting more than smooth dirt roads, there are plenty of logging roads, snowmobile trails and even single-track nearby. Recently, I’ve been exploring the un-maintained roads through the Hawley State Forest. These are public ways that once used to be busy thoroughfares, but are now grown in and largely forgotten. Some of the off-road routes are private, and only permitted to be used by snowmobiles, but I try not to let that stop me. A quiet exhaust and a brief visit usually offends no-one. Loud pipes and disregard for private property will ruin it for all of us, so if you can’t play nice, please stay away. Three deer came by for a closer look at the Green KLX. A lot of my riding involves big street bikes that I take all over the East Coast. These trips are epic and I will never stop doing them, but sometimes I just want to play. I recently bought a very playful Kawasaki KLX250s to replace my trusty DRz. I decided to buy the KLX because the Suzuki is set up to be more of a serious off-road bike than a playbike. The DRz is a bit of a brute; it’s tall, and hard-edged. The KLX, on the other hand, is unintimidating, playful and begs to be ridden. I’ve been riding motorcycles of all kinds for over 40 years. 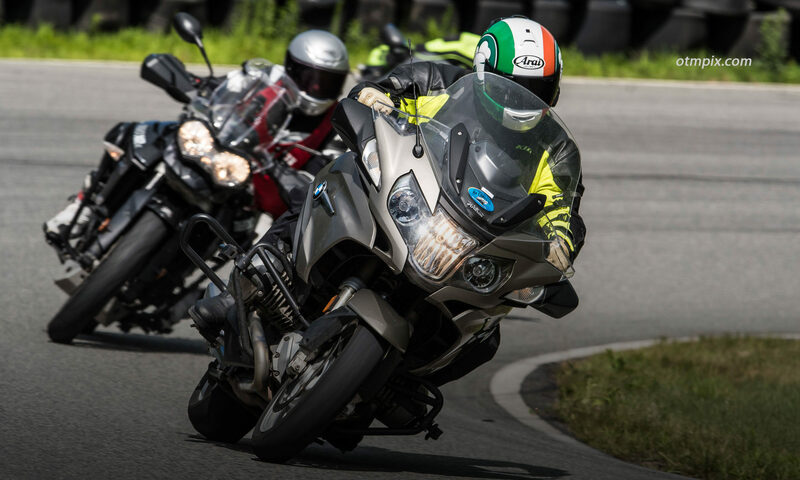 As is often the case, the passion and exuberance of my youth has softened significantly so that there is a danger of riding motorcycles to become same-old, same-old. I’m happy to report that the new bike has sparked the old passion for simple exploration. With the addition of the little KLX in my garage, my desire to simply jump on the bike and explore is rekindled. Just in time for the new riding season. How do you keep the love alive with your relationship with motorcycling? Dual-sport? Dirt or trial riding? Racing? What? Share your thoughts below. Elmer’s Store. A must visit destination. Ashfield Lakehouse: A really popular biker stop. Great food! Elmer’s Store: Best pancakes around. Step back in time! A popular breakfast place to start a ride and is the meeting spot for the Riding in the Zone Personal Training Tours. South Face Farm: A genuine Sugar Shack that serves pancake breakfasts during the sugaring season (that’s Spring time for you city folks). Ashfield Lake: A quiet lake with wildlife galore. Loud pipes scare the wildlife! Double-Edge Theater: A world-class theater that specializes in outdoor performances. Looks like an awesome area, have you been up around Mt. Washington or North Conway area, i’ve hiked there alot but never rode up from long island? Have you ever rode up to acadia national park, it looks beautiful? Yeah, I’ve ridden all around New England. The NH White Mountains are awesome. Western Mass does not have the majestic mountains of NH or Vermont, but what we do have are rolling hills, twisty backroads and little traffic. For dual-sport riders, there are a lot of choices. Thanks Ken. Having bought a Yamaha Super Tenere to add to the bike lineup I want to do more off road. I am not looking for single goat trails but more railroad, snowmobiling tracks, dirt roads and the roads that you are talking about.